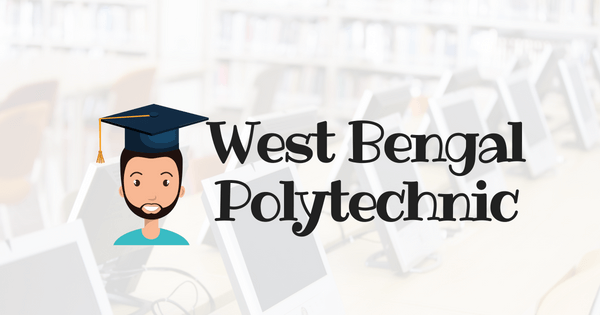 West Bengal State Council of technical education offer Diploma Engineering Course in Different Government Polytechnic Colleges in West Bengal. 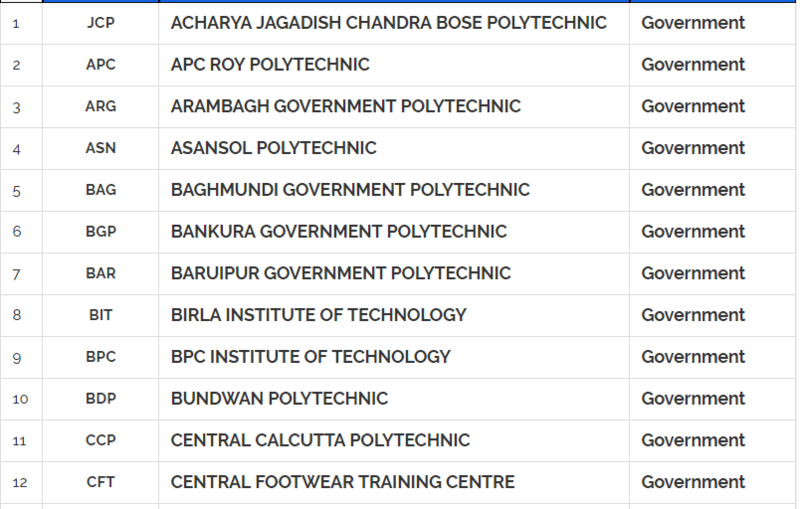 WBSCTE offers about 50+ government polytechnic colleges in West Bengal. WBSCTE has various activities for conducting a number of courses at Diploma, Post Diploma, Certificate, Advanced Certificate, Industrial training, Short Term Vocational Training. 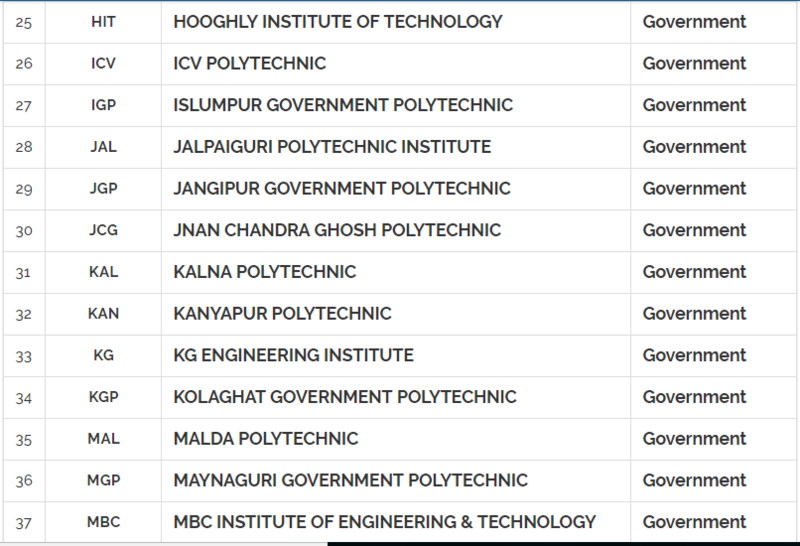 Students must be an Indian citizen. 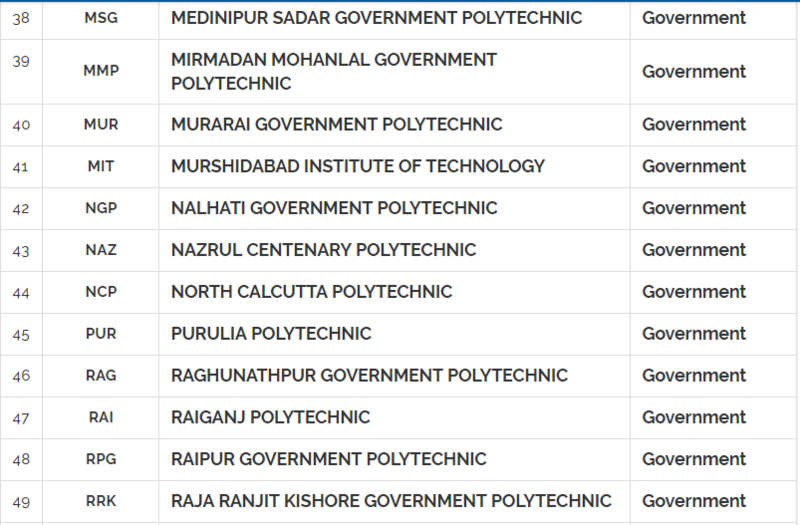 Qualification: Student must be passed the secondary examination (10th/Madhyamik) of the West Bengal Board of Secondary Education or its equivalent examination. Students must have English, physical science and mathematics subject and at least 35 % marks on the class 10th exam. 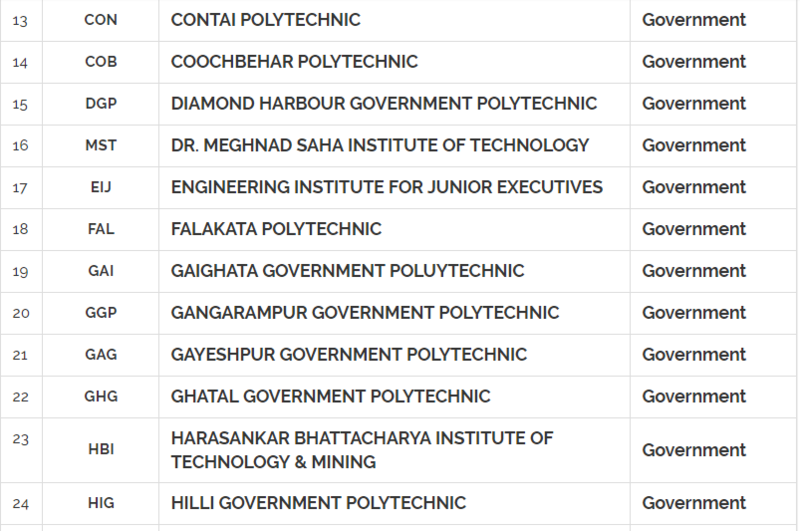 Candidates appearing in class 10th examination also eligible. Age: Should not be born after 01.07.2003 and there is no upper age limit. Thank you for reading this article about Govt. 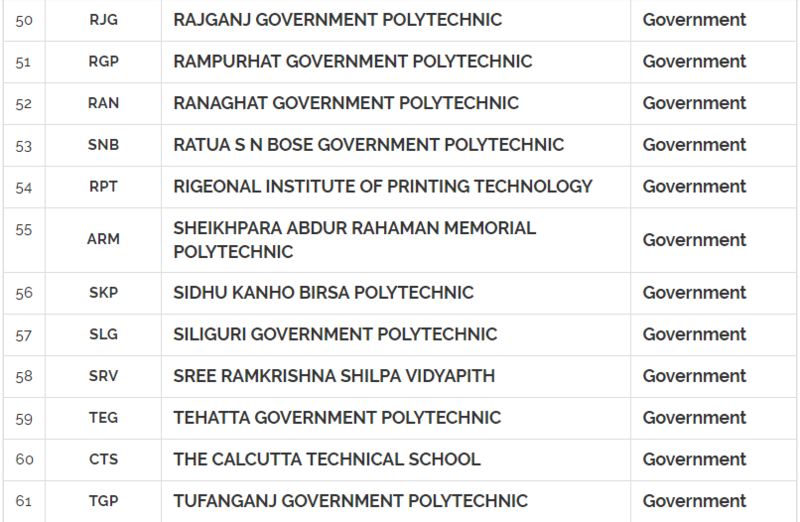 Polytechnic Colleges List in West Bengal. I hope this article helps you lot. If you have any questions comment below we will love to reply your comment. Best of luck in advance.